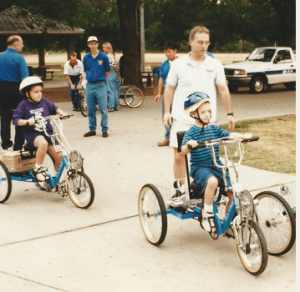 Cycles for life provides bicycles to children and adults who possess a disability such as: Spina Bifida, Cerebral Palsy, Down Syndrome, Partial Paralysis, Orthopedic Handicaps, Visual Impairment/Blindness, PTSD. 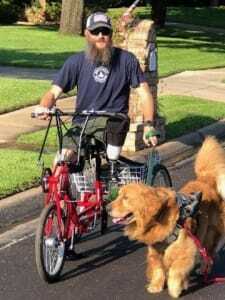 The bikes re completely customizable allowing for pedaling with one’s arms, one foot or two feet. 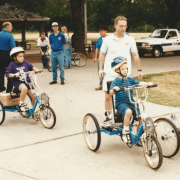 The bikes are also designed to push a wheelchair or be pulled by a parent or friend. They are designed to grow as the child grows. They are sturdy an will last years/decades with good care. Bikes provide exercise, freedom, autonomy and FUN – resulting in improved physical, mental and spiritual health.